I got a hug this past weekend, and it was straight from heaven. It wasn’t planned or expected, in fact it caught me completely off guard. It came through the arms of my sweet uncle, and I knew my daddy was behind it. I knew because not only did it begin with the most tender and familiar phrase of, “There’s my girl” but it was delivered with that same love and reaching down for me that I used to get when I was small enough for my dad to reach down to me. 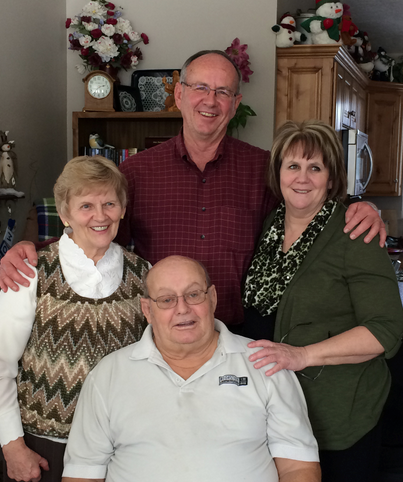 This picture was taken last year on my dad’s 70th birthday. It was the last birthday in this life we’d be able to celebrate with him. It was this uncle, Howard, with his arms around his sisters that gave me that hug. I was gladly supporting him at his wedding and expected to be the one administering congratulations hugs, when he surprised me with that familiar greeting and hug that my dad used to give. He’ll never know how much that simple gesture meant. 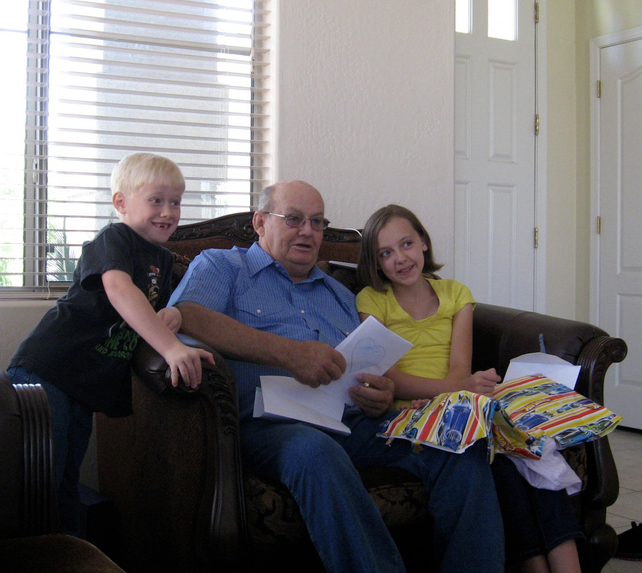 I was going through pictures and found this one of the last time we celebrated a birthday with my dad when we lived in AZ. He’d come to visit us for the weather and my kids loved showering him with homemade cards and gifts. This year, when I celebrate my miracle baby’s first birthday it will mark one year from the last week of his life. It’s a bitter-sweet timing. I know he’d have loved to give her a big birthday hug and I know he’ll be giving her one from the other side.